Before we proceed on the topic of Type 2 diabetes, please read my page on Insulin Resistance HERE. These concepts are very important prior to a discussion of Type 2. So, we have all heard it before “Type 2 diabetes is a chronic, progressive, irreversible disease.” I’m here to tell you that does NOT have to be true. The problem is, Type 2 is predominantly a lifestyle disease that needs lifestyle management. If you manage your Type 2 with medication only, that statement is true. Your diabetes will typically progress, and get worse and worse by the year. Your needs for medication will likely increase. However, with lifestyle management, Type 2 is ABSOLUTELY reversible for many people. (Is Type 2 Diabetes Reversible? HERE). The key is treating the root causes of the disease, both high blood sugars and insulin resistance. Right now, medication is aimed mostly at attacking only the high blood sugars. This does little to reverse the underlying insulin resistance. What is the most logical way to decrease insulin levels in the body, thereby reversing insulin resistance? By restricting foods that cause the need for insulin to begin with. Yes, there are other ways that insulin is raised. Insulin resistance can be tied to factors such as lack of sleep and stress, or other medical conditions. While correcting these things are important, the greatest factor requiring excess insulin is consumption of processed and refined carbohydrates. How much carbohydrate do we really need? You have probably been told that they body requires 130g of carbohydrates daily for proper brain function. This is not true. (Interesting article HERE) In fact, would you be surprised to know that there is NO essential level of carbohydrates in the diet? Yes, the body needs some glucose, but it DOES NOT need carbohydrates to supply that glucose, particularly sugary, starchy, processed, refined carbohydrates. The body is perfectly capable of producing all of the glucose it needs from non-starchy vegetables and protein. The body can also use fat as an alternative fuel source. “There are no essential carbohydrates. There are essential fats and essential proteins, but if you never had any carbohydrates again, you would survive.” – Dr. Mark Hyman. Does this mean that I advocate NO carbohydrates? Not at all! No carbohydrates means no vegetables. I certainly don’t endorse that. However, the amount and quality of the carbohydrates is extremely important. Let’s think about it this way. If one was lactose intolerant, would it make sense to center his/her diet around milk and cheese? No, those with lactose intolerance cannot process these foods. Very simply, diabetes is a disease of carbohydrate intolerance. Why then, center the diet of those with diabetes around carbohydrates, when they are unable to process these foods efficiently? Why in the world would some be promoting a diet of 45-65% carbohydrate to diabetics, endorsing between 200-300g of carbohydrates per day? (Notice the recommendations HERE). So, how much carbohydrates should a person with diabetes eat? There is no magical number for every person. Firstly, it is helpful to focus not only on the AMOUNT of carbohydrates, but the SOURCE of carbohydrates as well. A carbohydrate is not a carbohydrate. Notice the image below. The top image will have only minimal effect on blood glucose. The bottom photo will cause blood glucose to skyrocket. What is wrong with this picture? Only the idea that a carb is a carb. It is obvious that the effect of 30g of fibrous, non-starchy vegetables, has a much lower effect on the body than 30g of no-fiber, highly processed grains. Therefore, diabetics need not only concentrate on the QUANTITY of carbs consumed, but also the QUALITY. That question is different for every person. I have seen a new thinking come about and it is one that I completely agree with, and that is “eat to your blood glucose monitor.” In other words, what I commonly recommend is to test before and at 1 and 2 hours after each meal. If you see blood sugars out of target range, I suggest examining the meal just consumed, identify the carbohydrate portion of the meal, and cut the portion down, or cut it out. If the food you are eating takes your blood sugar out of range, continuing to consume that food will require more medication and will progress your diabetes. In my opinion, NO food is worth medication. Medication comes with side effects. And over time, medications become ineffective, requiring increasing doses or additional medications. I suggest that when you see BG numbers within target range after a meal, create a list of “safe” foods and design your menu around these foods. What does monitoring the amount and quality of carbohydrates accomplish for Type 2 diabetics? Many are able to reduce or eliminate medications. As noted above, this can actually help reverse the disease process, rather than progress it. Teaching diabetics to focus on a diet low in quality carbohydrates, with moderate proteins and higher healthy fats, is the key to lifestyle management of diabetes. Please enjoy this presentation by Dr. Sarah Hallberg, Board Certified Internal Medicine Physician, Board Certified in Obesity, Board Certified in Lipidology, Founder and Medical Director of the Indiana University Medical Weight Loss Program. Dr. Hallberg also has a master’s degree in exercise physiology. I think an occasional increase of up to 120 for a special occasion, is ok for most people, as long as it is infrequent, and brief. Studies show a significant increase in heart, kidney, and neurological disease risk, as well as mortality when A1c climbs from 5% (average blood sugar of 97) to 6% (average blood sugar of 125, see HERE). A common understanding in the medical field is that blood sugars over 140 (A1c of 6.5%) are causing damage to vital organs. Why then, would the ADA consider an A1c of 7% (average blood sugar of 154) controlled? 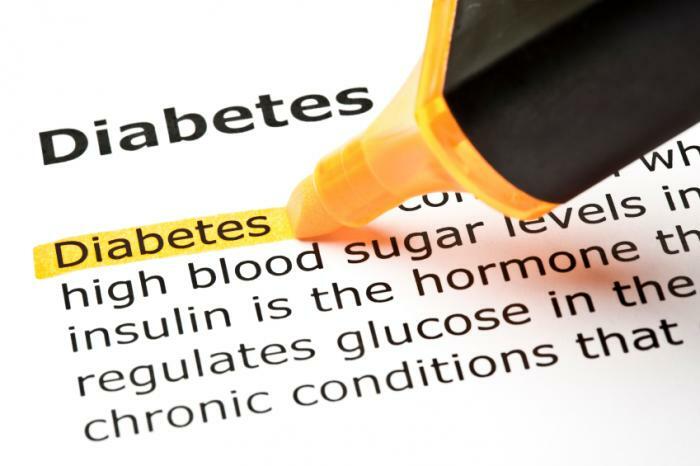 A blood sugar that is causing damage to major organs is controlled? And why are many being told that blood sugars up to 180 after a meal are “normal.” There is a HUGE difference between what is “normal” and what is “safe.” Yes, many people with diabetes have blood sugars up to 180 after meals. Just because it is happening to many people with diabetes, that means it is considered normal?? People with diabetes dying of heart disease is also “normal.” It is happening every day. This mentality has to stop. This is why there is no advancement being made in halting Type 2 diabetes. (Read my article “Diabetic Normal Blood Sugar is NOT Mormal Blood Sugar HERE.) Those with Tyle 2 should be encouraged to modify their lifestyle to reduce or eliminate these life threatening risks, as they are COMPLETELY avoidable. This is how I reversed my journey to Type 2 diabetes. Find more resources for Type 2’s HERE. Here are a few of extremely helpful videos by Dr. Jason Fung, Nephrologist and Founder of Intensive Dietary Management that explain the role of insulin in contributing to insulin resistance and the resulting complications. He discusses how the cycle of insulin resistance can be broken and how to reverse Type 2 diabetes.